We were riding for the most of the morning (you can check out photos in one of my previous posts) and have made only a short stop. The first real stop for a longer rest was at a small Berber settlement. There was a group of some five tents set up, obviously in use by a small family and a herd of goats. 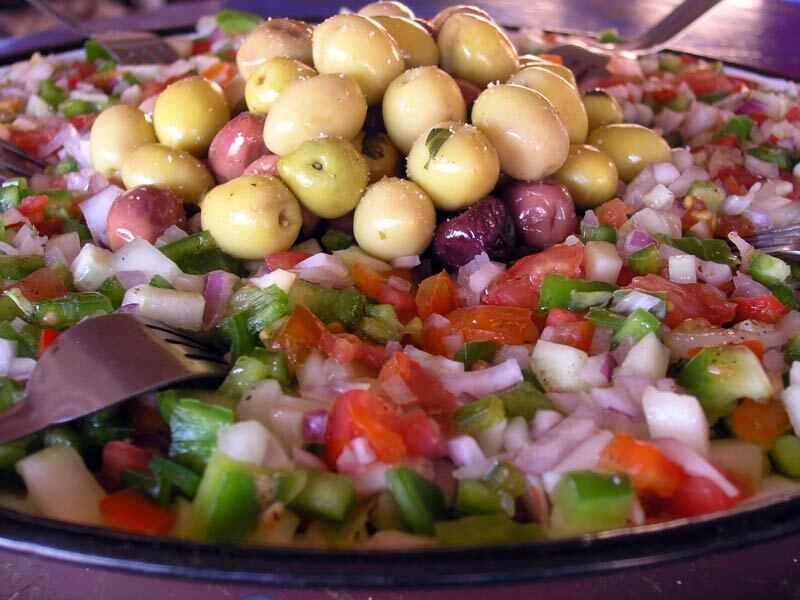 After a while they served us fresh salad made of tomatoes, red and green peppers, cucumbers, onions and olives. It was very refreshing and exactly what we needed at that time. 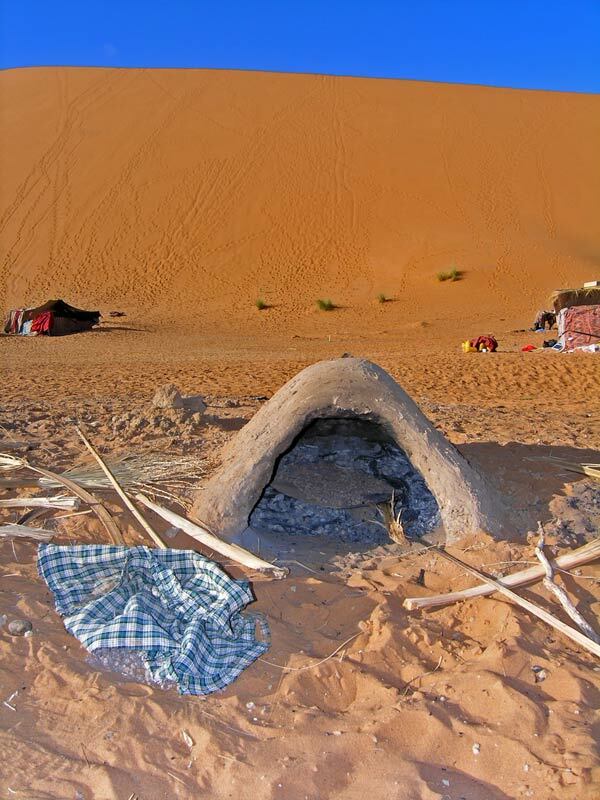 I also spotted what seemed to be some kind of a traditional Berber oven. It was standing in the opened, but was unfortunately not in use at that moment. 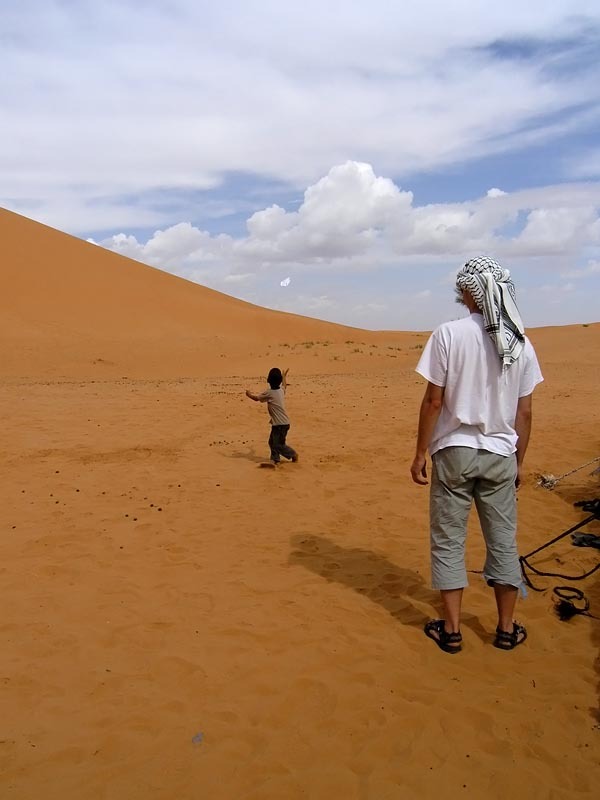 A young Berber boy was running around all the time, hoping to get some attention. He was quite cute and soon we were all trying to entertain him in one way or another. I for instance tried to show him how to make paper aeroplanes. He was quite excited about it... for a minute or two maybe. Half a pack of wafers got his attention for much longer. When the scorching heat eased for a bit, it was time to move on. 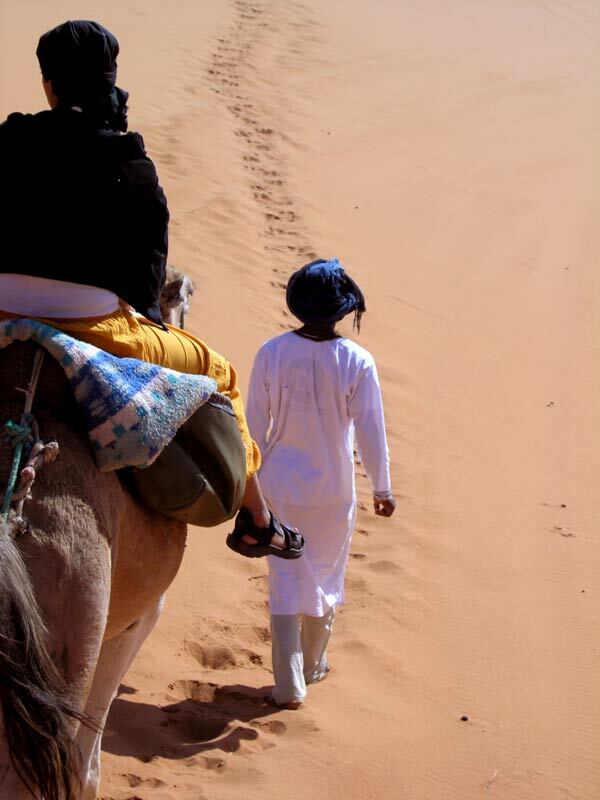 We boarded our desert ships and headed for another Berber camp. We got there just before sunset. We climbed up another dune to watch the sun set. This time we chose a smaller heap of sand. Unfortunately also the sunset couldn't measure to the spectacular sunrise in the morning. When talking to our companions from Switzerland time really flew by. We learned that being the same age in spite of growing up in a totally different country (when M. and I were kids we were living in a socialist republic of Yugoslavia) our childhoods have not been so different. We played the same games, liked similar stuff and did the same things we were not supposed to. Before we knew it, it was time for food again. We were already quite hungry by then and whatever was on the menu, it was smelling nice. When we dug into the Couscous we were unpleasantly surprised. We found out it was quite generously seasoned with fine desert sand. It was creaking and squeaking while we were grinding through our dinner. It was quite amusing to watch faces others were making. Before we turned in for the night we tried to solve a bunch of impossible riddles supposedly invented by Berbers a long time ago. 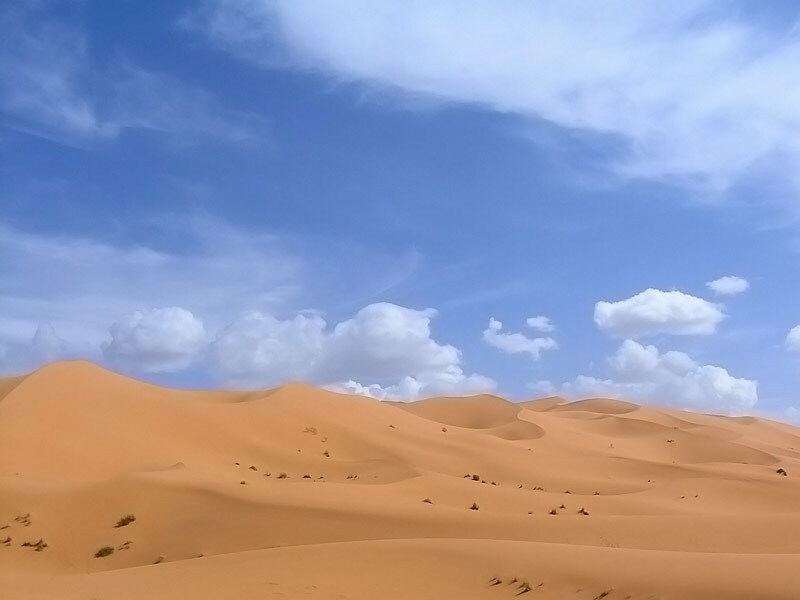 If you spend your whole life in the desert it is not hard to imagine that making up impossible to solve riddles is just one of the ways to keep you going. It was already late when we finally decided to crawl into our sleeping bags and fall asleep looking at the starry sky. just passing by decided to say hello. Looks like you get to travel to some nice places. as for the blog layout i use a template from the same crowd they do lovely templates. so you use Google analytics, I love using that program I think its great all the feedback you can get from it. Thanks guys! Stay tuned for more photos and travel stories.